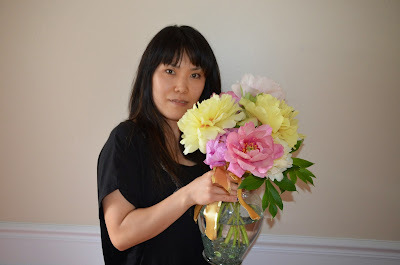 This year I gave a peony bouquet to my sister in law for Mother's Day. She bought me flowers by surprise last year, and I wanted to return the favor this year. 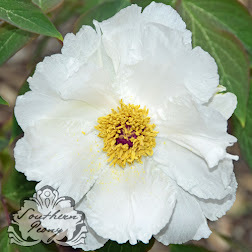 I also brought her a dark pink purple peony I grew from seed and helped her plant it in her back yard. The peony bouquet I brought her was entirely an Itoh peony bouquet. This was the first year I had enough blooms in my intersectional peony garden to cut an entire mixed color bouquet of just Itoh peonies. I think she really liked them. 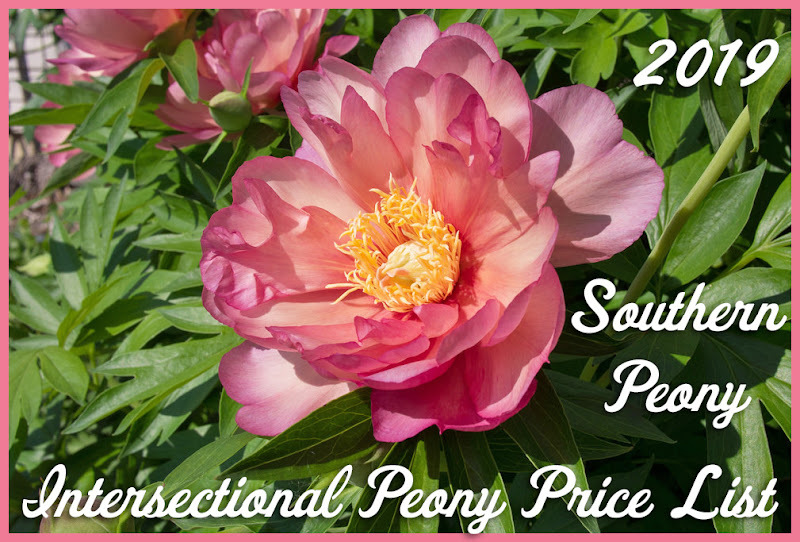 She said the biggest blooms were her favorites, blooms of Peony 'Bartzella', Peony 'Cora Louise', and Peony 'Garden Treasure'. There were also blooms from Peony 'Keiko' and Peony 'Sonoma Amethyst' in her bouquet. 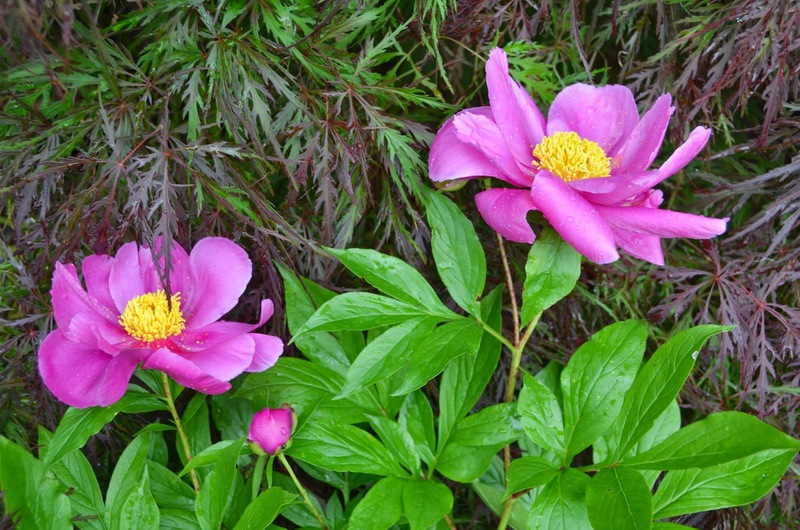 Itoh peonies originated in Japan. So it is fitting that I gave this gift to my sister in law who is originally from Japan. I also took a photo of her pink purple single peony in front of one of my laceleaf Japanese maples after I dug it up for her. They look so nice together. The purple of the laceleaf Japanese maple really pulls out the purple in the peony blooms. She told my Mom that she had purchased a peony from Walmart, but it never grew, and I knew I had to bring her one to help ignite a new passion for peonies! I hope she enjoys all of the peonies. :-) Happy Mother's Day!